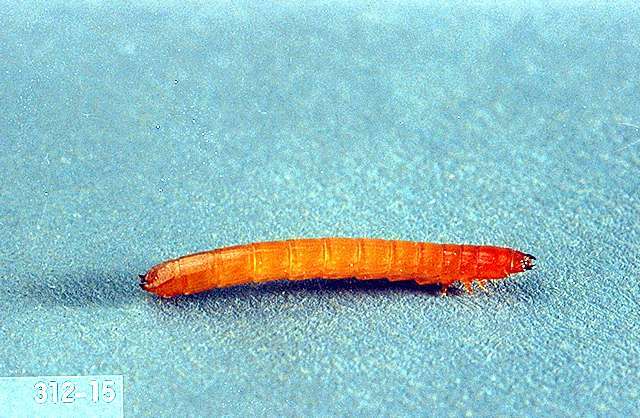 Pest description and crop damage Wireworms are the soil-dwelling larvae of click beetles. 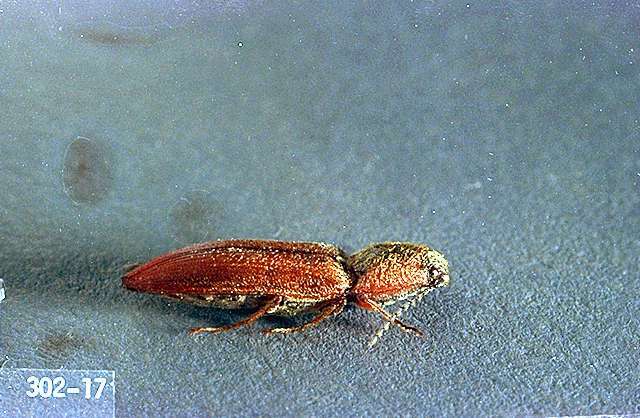 Adult click beetles are slender, tan to nearly black, and about 0.37 inch long. Larvae are hard, segmented, 0.37 to 0.5 inch long and dark yellow or brown. They resemble mealworms. Wireworms injure seedlings by feeding on roots, tubers, or bulbs, or boring into stems. Damage is more common in spring planted crops where the soil has a high organic content, such as fields that recently have been in or adjacent to alfalfa, pasture, or uncontrolled weeds. Wireworms do not significantly damage older plants. bifenthrin (Capture LFR) at 0.04 to 0.08 lb ai/a at planting. REI 12 hr. Do not exceed 0.4 lb ai/a per year at-plant plus foliar. diazinon (Diazinon 50W)-Broadcast just before planting at 3 to 4 lb ai/a and immediately incorporate into the top 4 to 8 inches of soil. REI 4 days.